Download the Complaint for Divorce with Minor Children form. 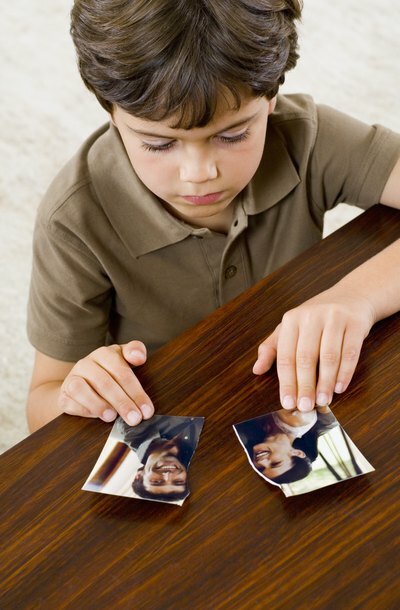 If you have minor children with the spouse you are divorcing, you must use the complaint that includes children. The state of Georgia and various Georgia county websites have the complaint form available for free download, along with the other forms required in a divorce with minor children. Fill out the form. Begin by filling in the county where you will file the complaint; in Georgia, this is the county where the defendant spouse lives. Skip, for now, filling in the case number, and instead fill in the case name. Provide your name, your spouse's name and other requested information. When you come to the section regarding your children, answer all questions for each child, including name, age, date of birth, place of birth, current residence, past residences, people with whom the children have lived and whether there are any other cases pending concerning these same children. Answer the questions regarding custody, visitation and support, and state whether you and your spouse have come to an agreed parenting plan. Sign and date the complaint, have it notarized, and file it in the Superior Court where your spouse lives. If he has relocated out of state, file it in the county where you reside. Once the case is filed, it is assigned a case number, which either you or the clerk will need to go back and enter in the space provided on all your paperwork to be filed. With the complaint, Georgia also requires that you file a Disclosure Statement that provides the case type, name and number, a Domestic Relations Case Filing Information Form which identifies the parties and states whether domestic violence is an issue, a Report of Divorce, Annulment, or Dissolution of Marriage that provides statistical information about the marriage to the state. Serve the complaint and accompanying paperwork on your spouse. Georgia allows your spouse to waive service by executing an Acknowledgement of Service and Consent to Jurisdiction. By signing this form your spouse agrees to the jurisdiction of the court. File this form and no further service is needed. If your spouse will not sign the acknowledgement, you must serve him through the process service division of the county sheriff's office. Once the papers have been delivered, verification that he received them, called a return of service, is filed by the server. File a parenting plan if you and your spouse have agreed on all issues regarding your minor children. These issues include residential custody, visitation and child support. If there is no agreement, file your own proposed parenting plan. Eventually you and your spouse will have to file your own financial affidavits, and a marital settlement agreement if you and your spouse agree about the division of all marital property. If there is no agreement, you will file your own proposed agreement. When you receive a Summons and Complaint in a divorce action, you typically have 20 days in which to respond. Your response to the Summons is known as an Answer. If you have hired an attorney to represent you, she can prepare and file the Answer with information that you provide her. You can file the Answer on your own if you are not being represented by a lawyer in your divorce. Specific rules may vary by state, and the process can differ somewhat if you and your spouse have minor children.